Glamping, posh camping, is becoming more and more popular in the UK. Many famrs are realising that they can make good money from having small groups and families come to stay for a few nights or a weekend camping in a high quality cabin type building. We offer a range of Cabins, Pods, Modular buildings and bespoke builds. Glamping buildings offer a great return on invesment for established camp sites & caravan sites as well as people new to the glamping and camping industry. Many fishing lakes have seen just how much they can improve there profit by adding glamping facilities such as our range of camping pods around the lake. 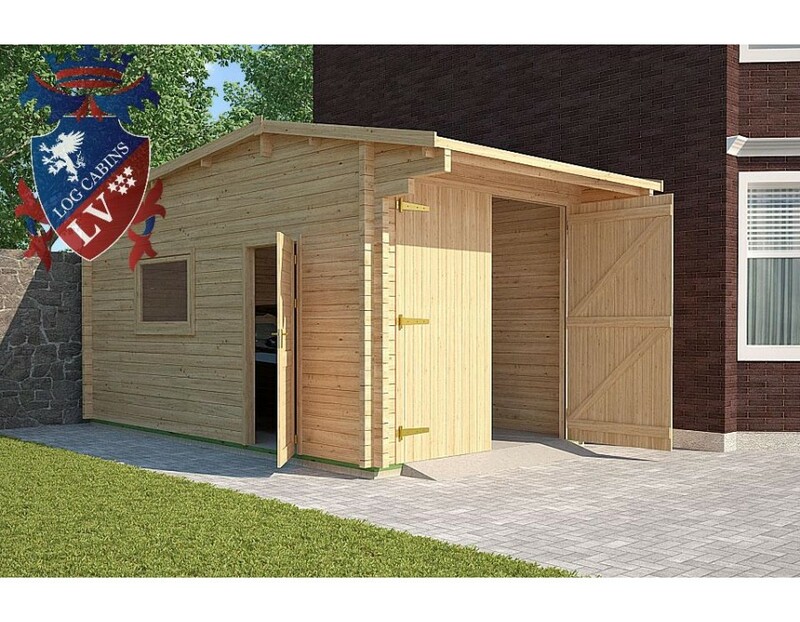 You can also add to the site by adding comunal facilities such as our range of M'Toliet modular camping toilet buildings or our Kota BBQ or Kota saunas for people to enjoy whilst camping at your holiday site. Leaf - Design and Ecology in one place. The Leaf Glamping pod offers something different from the standard designs of camping pods. Toilet block designed with glamping and camping in mind. 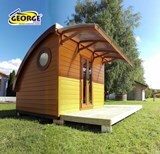 Perfect for new or old glamping and camping sites. 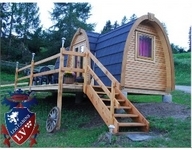 Euro Camping Pods offer a great solution for Lakeside resorts, Forest holiday locations and general camping & glamping sites. They are well insulated cabins that are designed for sleeping in.